Taylor Woodrow are teaming up with government and hundreds of industry partners this week to launch the Year of Engineering – a national campaign to inspire the next generation of engineers and widen the pool of young people who join the profession. 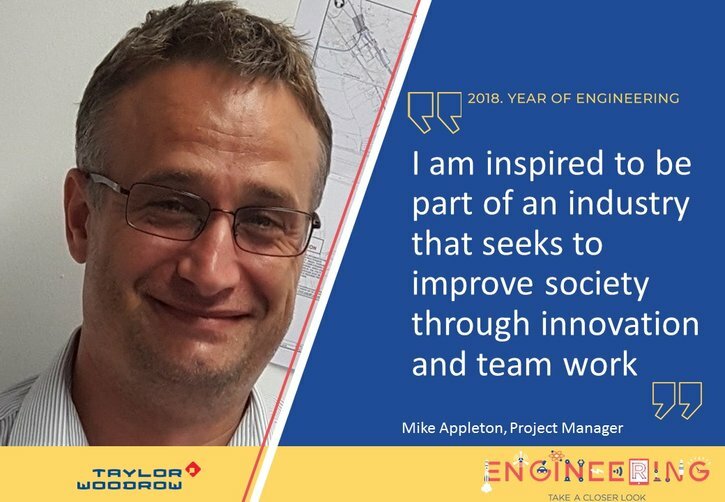 Taylor Woodrow will be supporting the campaign by joining the Twitter campaign and sharing stories of what inspired our team members into engineering to show the diverse careers and experiences that the industry has to offer so follow our @Taylorwoodrow1 Twitter feed to get involved. We’ll also be encouraging more of our team members to join the STEM (Science, Technology, Engineering, Maths) Ambassadors scheme to help bring STEM subjects to life and demonstrate their value in life and careers, and continuing to support schools, colleges and universities through visits to our sites and getting involved in events and mentoring opportunities wherever we can. During launch week, parents are also being encouraged to find out more about how they can get involved by visiting https://www.yearofengineering.gov.uk/, which includes details of engineering activities and events taking place throughout 2018. You can also follow the campaign via @YoEgovuk on Twitter.